Elon Musk, co-founder of PayPal and Tesla Motors, has a dream. He wants to blanket the globe with satellite internet service. Musk’s company, SpaceX, has asked the federal government for the right to begin testing in 2016 on his new project. This project, if successful, would not only allow SpaceX to become a major competitor in the internet provider market, but also to get more people online in remote places around the world. Potentially, this venture could add billions of new customers to the roles of people using the internet as well as handle up to 10% of the net traffic in cities. If things go as anticipated, Musk expects to have the operation in full swing by 2021. As opposed to depending on larger, more expensive satellites that are hard to replace, the SpaceX plan calls for 4,000 small and efficient units that could be made and replaced in house at a reasonable cost. To begin the test, three satellites will be deployed from one of SpaceX’s rockets, the Falcon 9. Once deployed, the test will determine if the antennas used would be able to support high-speed internet without a hitch. Musk is no stranger to ambition. After the success of PayPal, he co-founded the luxury electric car company, Tesla Motors, and then went on to start an aerospace company called SpaceX. Separately from this project, SpaceX will be used in 2017 to take supplies and Astronauts to the International Space Station. This will also mark the first time that a non-government entity will be used in place of NASA as the primary means of delivery. Since the 90’s, there have been a few entrepreneurs that attempted the goal that Elon Musk is trying to achieve. It is safe to say that all of those ventures fell apart for one reason or another, despite initial FCC backing. Bill Gates funded a company in the mid 90s to do this very thing, but costs got out of control and the venture failed. From a logistical point of view, a win in technology does not always equal success. For example, one of the hurdles comes in the form of permission being granted in counties. Despite a history of failure, this idea has fresh funds coming in. Google and Fidelity have recently given SpaceX one billion dollars in part to help fund broadband by satellite. With that kind of cash flow, it is hard to imagine that this idea will not work. Neither company is known as a risk taker, especially in the field of technology. The bottom line is that true satellite broadband will happen. Whether it happens now with Elon Musk, or the similar venture involving Sir Richard Branson, we will definitely see broadband internet via satellite at some point. 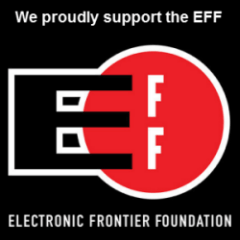 We support a free and open internet. This would certainly include bringing broadband worldwide. Follow us @VPNFan for the latest technology news, privacy-related product reviews, and special offers.